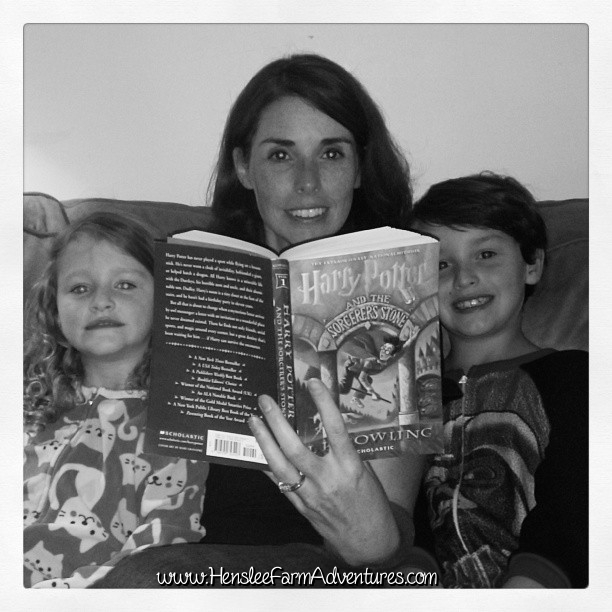 This week is Banned Books Week and I wanted to share with you why I read banned books to my children. While I was working towards my master's in library science, one of the classes that I took discussed banned books. I had always assumed that if a book is banned or even challenged that it had to be because the content was so vile, so horrific that no one would be able to read it. I was wrong. What is the Difference Between a Challenged Book and a Banned Book? So what is the difference between banned books and challenged books? Challenged books are those that someone finds offensive and has asked that they be removed from a library. That library can be a school library, a public library, or a college library. Normally if the book is challenged, it will be removed from the shelves and unable to be checked out until a decision is made. If it is decided that the challenged book should be physically removed from the library after the challenge has been reviewed, then it goes from being a challenged book to a banned book and it will no longer be a part of the library collection. So you might wonder why I read banned books to my children, and as they get older, they will be reading the books themselves. As you can see from the very short list of banned/challenged books above, if I didn't read or allow them to read banned books, they would be missing out on some truly tremendous works of literature. I thought I would share some of the other reasons why and then you can decide for yourself whether or not to allow your children to read banned books. 1. I want to be the one to decide what my child reads and doesn't read. I really never could understand the reasoning behind banned books. If you don't want your child to read something, then don't allow them to. I may be naive in my thinking, but it should be up to the parent on whether or not a book is appropriate for that child. I want to be the one to decide that for my children. I do not want another parent deciding what is or isn't appropriate for my child. 2. I want my children to become free-thinking adults. In order for my children to become free-thinking adults, then they need to have read a multitude of diverse ideas. I want my children to be able to make up their own minds and to create their own ideas. Reading a diverse set of books is a great way to shape who you are and who you want to become. 3. I want to expose my children to different cultures, traditions, etc. This goes along with #2 above. I want my children to learn about different cultures, traditions, histories, etc. The only way to do this is to allow them to read about it and to experience these cultures. It is not always possible to personally experience how certain people live, but the next best thing is to read about it. 4. Too much "protection" can backfire. I am all for wanting to protect my children from inappropriate material. There are certain t.v. shows that I do not allow my children to watch for various reasons. There are also certain books that I wouldn't let them read at the age they are because they just wouldn't understand. However, trying to protect your child too much can have negative effects. They can either enter the world unprepared for what it holds, or they can go behind your back and do the things that you were trying to protect them from in the first place. Neither scenario is a good one. I hope to keep the lines of communication open with my kids and make sure that they are prepared when they go out into the world. If I didn't allow my children to read banned books, they would miss out on some great works of literature. Several award winners have been banned or challenged. My son would not be able to read Mark Twain, and every boy needs to read Tom Sawyer and The Adventures of Huckleberry Finn. My daughter would not be able to read Judy Blume. I read Are You There God? It's Me, Margaret. so many times, the book fell apart! I can't imagine my kids not having the same kind of experience with books that I had. There are certain books that shaped me into the person I am today. When my son was in the second grade, he brought home the book Jack's Run, by Roland Smith. I had not heard about it, but decided to read about the book before delving into it with him as our evening reading. I realized that not only was the reading level too high for him, but so was the content. This is the first time I told him that he needed to take it back to the library and we would check it out again in a couple of years. Later that same year I had the pleasure of meeting Roland Smith as well as his wife Marie Smith, who is also an author. I told Marie about my son bringing home one of Roland's books to read and then we started discussing my son's age. I felt relief when she agreed with me that 8-years-old was too young to read Jack's Run. So sometimes it is okay to say no. This goes back to reason #1. Read banned books, support your local library, and educate others about the right of freedom of speech. And if your child brings home a book you don't want them to read? Just say no, but please don't take the right to read it away from others. Comment below and let me know how many of you read banned books?